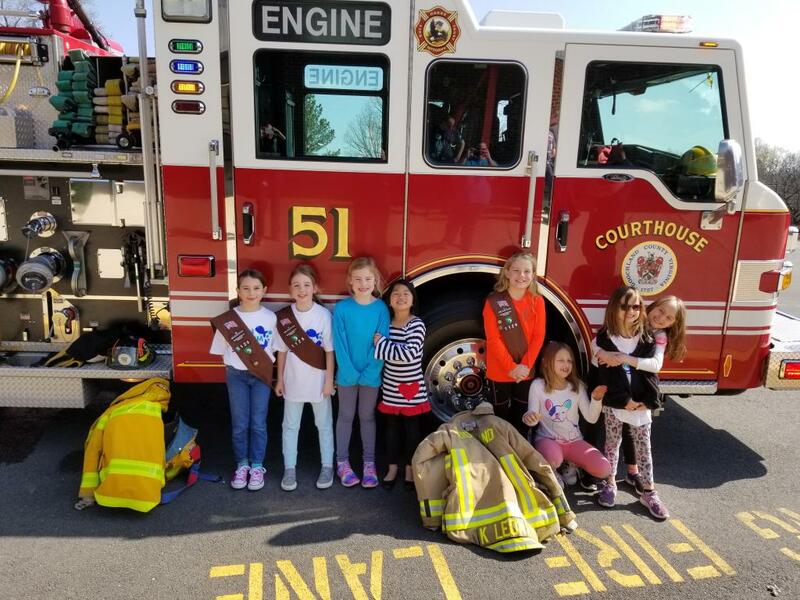 On Tuesday April 10th, Captain David Dowdy, Lieutenant Kevin Leonard Jr., and Firefighters Tyler Wilkerson, Will Carney and Zach Rudd conducted a first aid training session for the local Girl Scout Brownie troop that meets at Goochland Elementary School. During the visit, the girls learned about basic first aid, when to call 911 and how to 'Stop, Drop & Roll'. 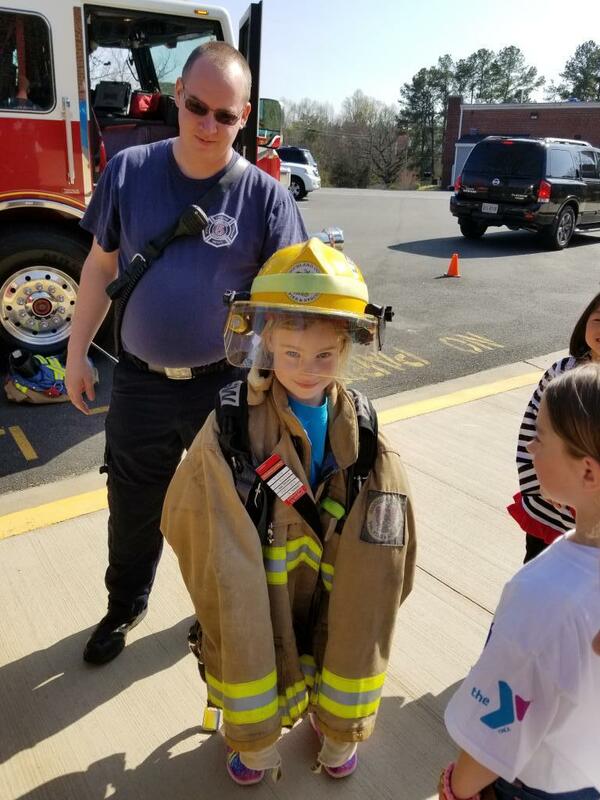 The Brownies were then treated to a tour of Engine 51 and were able to try on the gear that our firefighters wear during an emergency. It was a fun filled afternoon that culminated in all of the Brownies earning their First Aid merit badge.